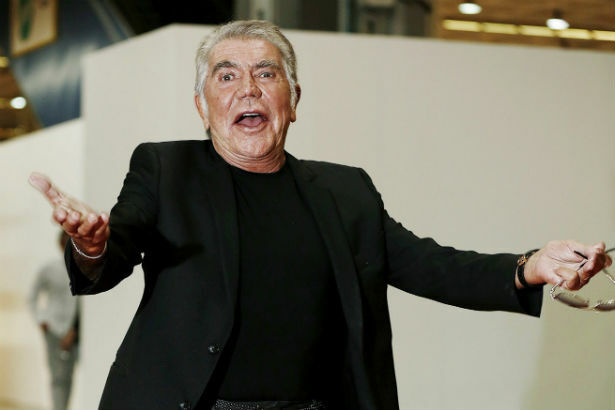 Roberto Cavalli is the kind of fellow who will call you out when he thinks he’s been ripped off. The outspoken designer has dissed Michael Kors in the past, telling Haute Living magazine, “Mr. Michael Kors, he copies everything! It’s really a scandal and nobody has the courage to say anything. It’s really not fair.” Indeed. But Cavalli himself isn’t impervious to making the same kind of misstep he’s accusing Mr. Kors of. In this particular case, instead of being, ahem, influenced by a major designer, Cavalli gleaned a lotta inspiration from the work of a few Northern-California based graffiti artists. The perma-tanned designer is being sued by three taggers, Jeffrey Rubin, Victor Chapa and Jason Williams, who say Cavalli used their work for his brand’s graffiti-themed Just Cavalli collection without permission. According to legal documents, Cavalli printed their work on several pieces from the collection, adding “Just Cavalli” branding in spray paint to make it look as if his team designed it. As court documents read, ”Sometimes, Cavalli added what appears to be a signature, creating the false impression that Roberto Cavalli himself was the artist.” Oof. In addition to infringement, the taggers say that having their work featured on the designs of a high-fashion label destroys their precious street cred and makes it look as if they sold out to the man. Except, in this case, they didn’t. To add insult to injury, not only is their credibility smashed, but they didn’t even get a dime for it. Rubin, Chapa and Williams are all seeking payment for damages, and are demanding that the products bearing their artwork be pulled.